Welcome to Babies by Emily! My name is Emily Jameson. 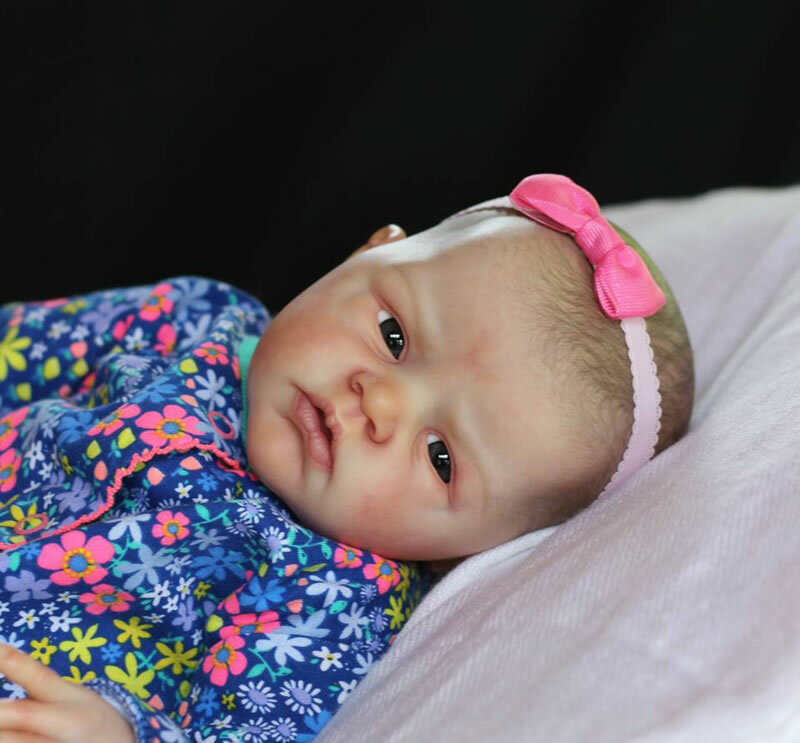 I sculpt original lifelike baby dolls from polymer clay and produce my work as vinyl reborn dolls kits for the reborn artist and limited edition dolls for the collector. 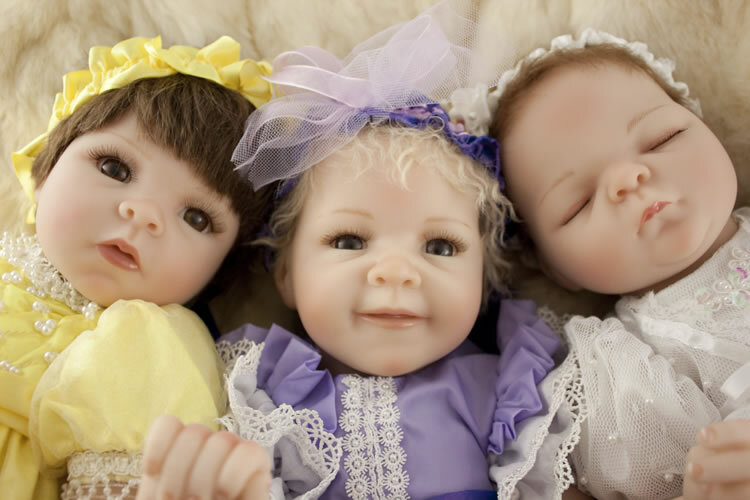 I also sell doe suede reborn doll bodies and other doll making supplies and accessories. Please click About Me to read my full bio! If you have any questions or comments I would love to hear from you! Thanks for visiting! Adelynn Doll Kits Almost Sold Out! Just a heads up, I am down to only a couple Adelynn kits left in her edition so if you want one let me know sooner rather than later! Kits are $75 plus shipping. Bodies are optional for $13 extra. Three of my Ashton Drake sculpts are available for sale. Follow this link if you are interested! 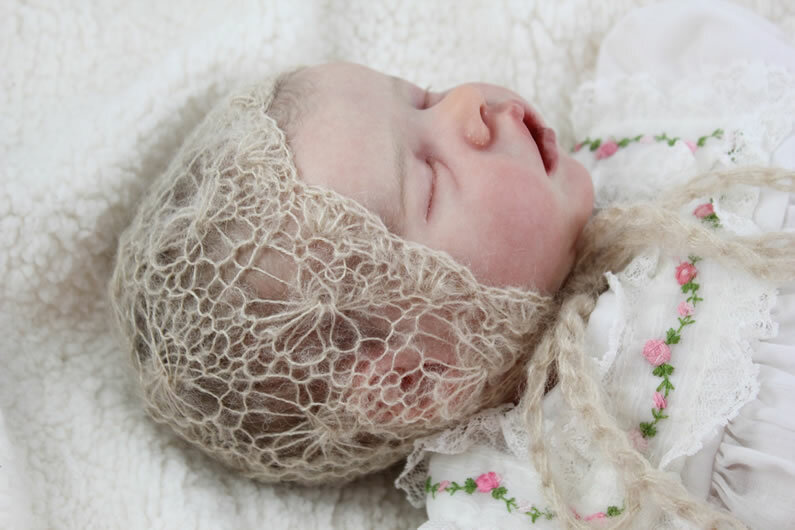 Newly available are delicated knitted mohair bonnet and bootie sets! Four different patterns are available! 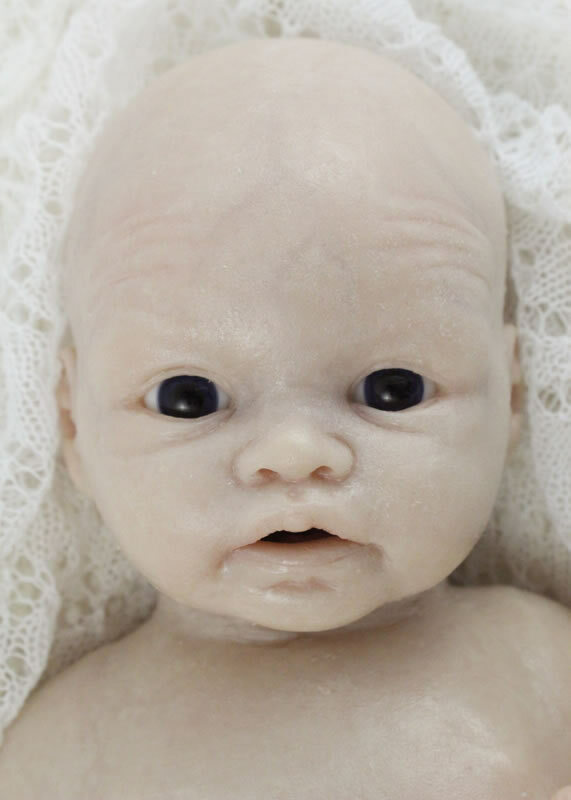 One of my last full body silicone baby Charlottes is looking for a mommy to paint and finish her! Click here to view the details. All styles of doe suede bodies are back in stock! Bodies are $12.99 a piece. I have a variety of sizes and limb lengths available. 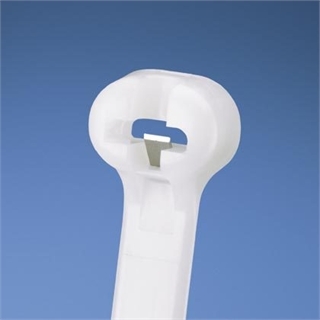 Extra cable ties can be added if needed. CLICK HERE to go to the ordering page. TAP HERE for pictures of all body styles available. I now stock cable ties that can be purchased along with your doe suede bodies, or purchased separately in bulk! Please go to my shop page and scroll down to the doe suede body section to find them. 50% off Sweet Cheeks kits! The last of the stock of my Sweet Cheeks kits are being offered at 50% off original price, making them now only $34.99! I will not be lowering the price anymore and no more will be made once she sells out. I am running a promotion over on my Etsy shop. Use the coupon code shiptome4free at checkout to get free domestic shipping on orders of $100 or more! Lilliana Doll Kits In Stock!